The Brexit backlash in today’s national newspapers was eerily predicted by comedy sketch Little Britain over 15 years ago, TLE can reveal today. Theresa May was roundly lambasted on the front pages this morning, with the Telegraph leading with “A complete humiliation” and the i describing last night’s vote as a “historic humiliation”. The Guardian ran with “May suffers historic defeat as Tories turn against her”, while The Sun called May’s Brexit deal “dead as a dodo”. It harks back to an early episode of Little Britain in which the Prime Minister’s doting aide Sebastian has a breakdown over a series of negative stories in the morning papers. The Guardian went with “Disaster for government” while The Independent ran “Defeat puts PM on the ropes” in the sketch. 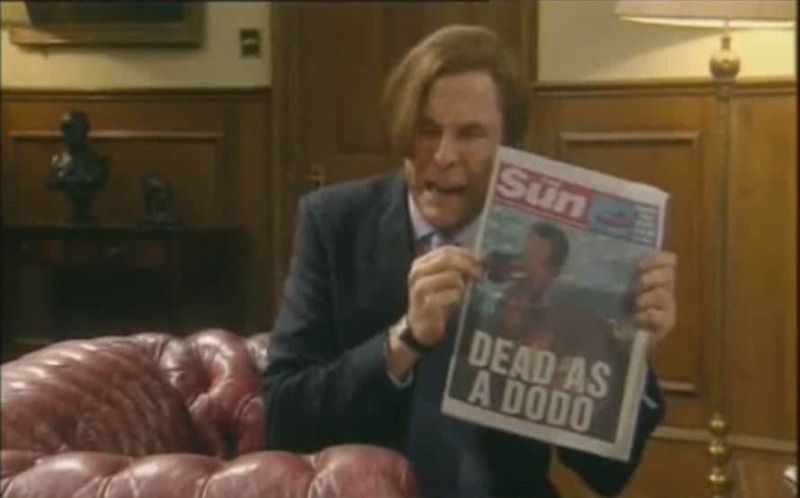 But the story that really gets Sebastian sobbing is The Sun’s headline which appears to be identical to today’s front cover.